Strategy Implemented, Inc. (SI) believes that innovation, emerging technologies and the evolving needs in healthcare and education bring new opportunities and challenges to organizations in a position to make a significant and systemic impact on communities they serve near and far. 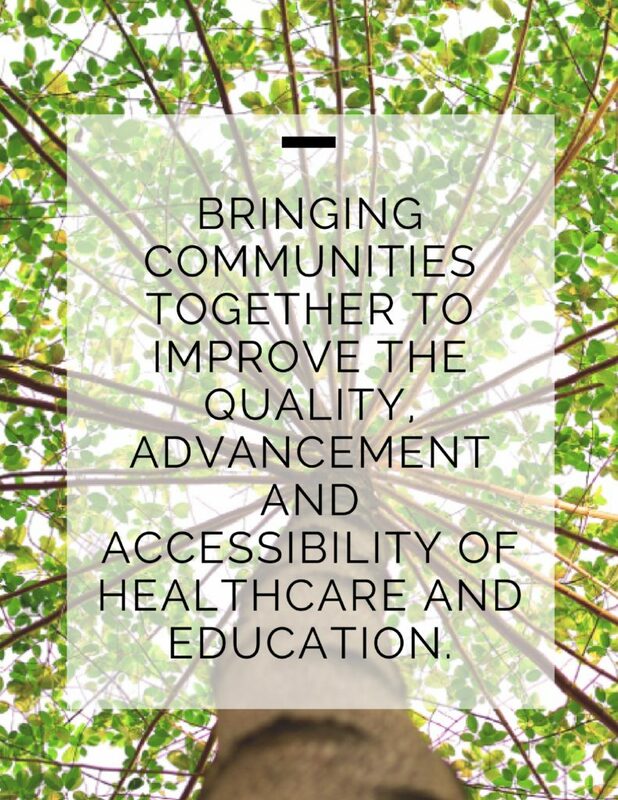 SI is a purpose-driven consulting firm that uses collaborative and creative approaches to help organizations develop regionally and internationally sustainable initiatives and ventures aimed to bring communities together to improve the quality, advancement and accessibility of healthcare and education. Blending our global experience and local knowledge with proven best practices, the SI team has built entities from the ground up, fostered institutional partnerships, cultivated global networks, and designed implementation-ready strategies and strategic business models for public and private organizations with a global vision. Having worked in North America, Middle East, Asia, Europe and the Caribbean, the SI team is comprised of experienced industry professionals who have served in leadership, administrator, design and advisory roles in academic and community-based medicine, higher education, research foundations, management consulting and other sectors. We bring together experienced strategists and practitioners who can best help clients address challenges and complexities of the evolving healthcare and education landscape. Dr. Crone, President and CEO, is a globally recognized senior healthcare physician executive with more than 25 years of experience leading profitable international ventures for U.S.-based hospitals, medical schools, and private industry and the non-profit health and education regulatory and accreditation community. Dr. Crone’s work at Strategy Implemented focuses on helping domestic academic health centers, medical schools and universities to develop and implement international strategies and programs, as well as assisting assessment and accreditation bodies interested in globalizing their missions and operations. 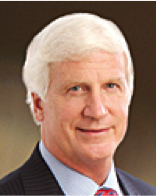 Prior to forming Strategy Implemented, Dr. Crone founded and built Huron Consulting Group’s Global Healthcare Practice and he served as Founding President, and Chief Executive Officer for Harvard Medical International, Inc., a not-for-profit subsidiary corporation of Harvard Medical School (HMS) focusing on international program development. He also served as Clinical Professor and Dean for International Programs for HMS. Dr. Crone also served as Senior Vice President for Operations at The People to People Health Foundation, Inc., (Project HOPE) and as a professor and administrative leader at both Children’s Hospital Boston (Harvard Medical School) and Seattle Children’s Hospital (University of Washington School of Medicine). Dr. Crone currently serves as a member of the Board of Directors of numerous healthcare organizations nationally and internationally. 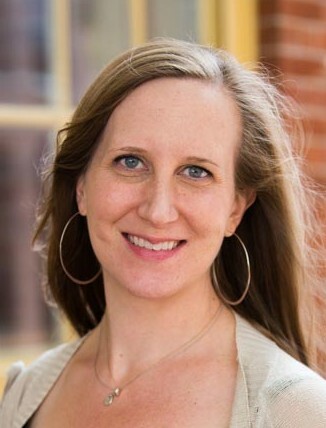 Dr. Amanda Pullen, Senior Vice President has extensive experience in designing and implementing innovative strategies for academic medical institutions, including medical education and research, international collaborations, marketing and public relations in both the for-profit and not-for-profit sectors of the healthcare industry. At Strategy Implemented, Amanda leads client engagements and provides strategic, operational and business planning consulting services to clients looking to develop new initiatives and programs. Amanda uses her industry insight and experience in healthcare, higher education and medical licensure and accreditation to help organizations think through implementation-ready strategies, business models and innovative partnerships aimed to create increased value to the organization, its constituents and the overall communities it serves. Kate has over a decade of experience in managing large, multi-faceted digital media projects in educational, healthcare, financial and marketing industries. Her expertise in technology innovation implementation, content development, and project management has helped clients develop award-winning websites, educational platforms, apps, games, animation, and publishing. Kate has produced interactive media for clients including Boston Children’s Hospital, Humana, Leapfrog, Sesame Workshop, The Girl Scouts of America, Simon & Schuster, Houghton Mifflin, The National Wildlife Federation, Reading is Fundamental, The Learning Games Network, National Academy of Sciences, and Crayola. At Strategy Implemented, Kate provides clients with vision, strategy development and supervision of creative and programming work related to the design and maintenance of digital media platforms including digital learning environments. Kate works closely with clients to strategically develop web-based and emerging technology plans for new and existing initiatives that align with institutional objectives. Amanda leverages her industry knowledge and client support experience in healthcare, higher education, technology implementation and creative services to mobilize teams, develop and manage organizational systems and processes, and plan marketing communications efforts. At Strategy Implemented, Amanda manages the client engagement continuum — from business development through project management and execution process. Working alongside SI teams, Amanda provides process oversight and support on project inputs and deliverables, while ensuring client and team expectations are met. Amanda identifies best practices, flexible tools and processes that can be adapted and standardized to increase workflow efficiency. Her role at SI also includes contract and resource management, client relations, systems support, knowledge management, and communications. Amanda also provides research and analysis to help clients build strategies for introducing new products or services and adopting new technologies and solutions. With events management experience, Amanda also supports clients in designing and organizing engaging community-building meetings in the US and internationally. 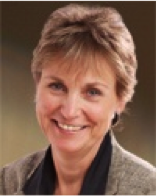 LouAnn is an experienced academic healthcare executive/consultant with expertise in developing and implementing innovative strategic initiatives and institutional partnerships to facilitate growth both in the domestic and international markets. She supports client engagements in healthcare and academia in both the non-profit and for-profit sectors. Utilizing her experience in working in complex organizations, she develops relationships within all sectors of the organization to implement strategies and programs that create long-term value and growth opportunities. 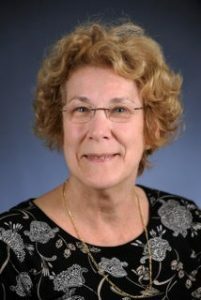 Prior to rejoining Strategy Implemented, LouAnn was Vice President for International Strategy and Business Development at The Children’s Hospital of Philadelphia, where she led the expansion of their International Collaborations, International Patient Services Program and the International Medical Education Program. As the Associate Provost at Tufts University she lead the development of the first university-wide strategic plan and further implemented programs to support the plan’s initiatives. LouAnn also served in several positions at Harvard Medical School including Harvard Medical International. 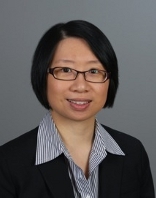 LouAnn spent several years as a healthcare and strategic initiative consultant and was formerly a Director at Strategy Implemented and Huron Consulting Group. She developed a deep foundation of university, hospital and medical school operations, focusing on strategic initiative development, new program implementation, new facility development and negotiating partnership affiliations in the Middle East, India and China. Dr. Geary joined Strategy Implemented in 2016 as a Senior Consultant providing his deep and diverse experience in academic medicine to healthcare engagements. 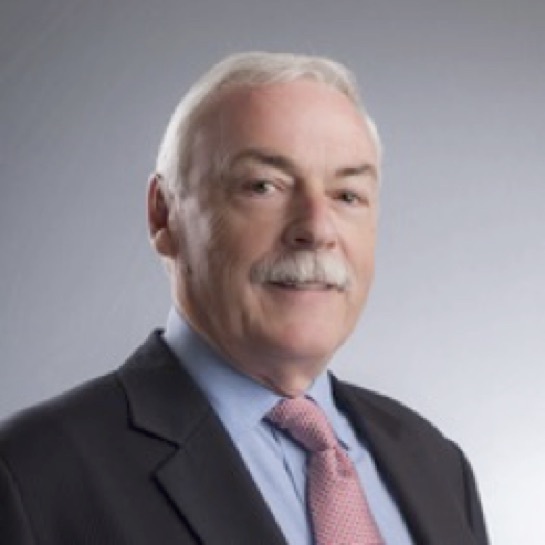 Dr. Geary grew up in Ireland and received his medical degree from University College Dublin in 1973. He completed his pediatrics residency training in Tennessee and his Pediatric Nephrology fellowship at the University of Florida, before returning to the British Isles for four additional years of training at Cork Regional Hospital, Guy’s Hospital in London, and Great Ormond Street Hospital in London. He joined the Nephrology Division at The Hospital for Sick Children (SickKids) in Toronto in 1983 and went on to serve as Division Chief of Nephrology for 13 years. He was appointed Professor of Pediatrics at the University of Toronto in 2000, and served as President of the Canadian Association of Pediatric Nephrologists from 2001-2003. During this time he was also Medical Director for the partnership between SickKids Hospital and Hamad Medical Corporation, promoting academic excellence in the department of Pediatrics. From 2014 – 2016, Dr Geary served both as a consultant as well as Deputy Chief Medical Officer at Sidra Medical and Research Center in Doha, Qatar where he was responsible for developing the overall academic mission as well as recruitment of senior clinical and academic leaders for this new North American-centric academic women and children’s medical center. Dr. Mian joined Strategy Implemented in 2016 as a Senior Consultant for medical education engagements, providing expertise in two key areas – the first relates to the design, development, and implementation of innovative approaches to undergraduate medical education and program evaluation, and the second relates to Child Protection. Dr. Mian has gained her experience in undergraduate education in a multinational setting, having obtained her medical degree from McGill University and conducted her pediatric training at the Montreal Children’s Hospital and the New England Medical Center in Boston. She obtained a Master’s in Health Professions Education from Maastricht University and is a fellow of the Royal College of Physicians and Surgeons of Canada and of the American Academy of Pediatrics. Dr. Mian held several teaching and leadership positions in Boston-area hospitals before joining The Hospital for Sick Children (SickKids) and the Faculty of Medicine at the University of Toronto (Canada) where she was Professor of Pediatrics, with a cross appointment in the Department of Public Health. Dr Mian was also Director of Undergraduate Medical Education. Most recently, as Associate Dean for Medical Education at Weill Cornell Medical College in Qatar (WCMC-Q), Dr Mian was responsible both for enhancing the performance of international students within the US-based curriculum and also for leading the efforts to gain accreditation for the program from the New York State Medical Board. Dr. Mian is very active at the local, national, and international level in organizations that aim to prevent child maltreatment. She was Medical Director of the Child Protection Program at Massachusetts General Hospital in Boston, and at SickKids, she was a member of the Suspected Child Abuse and Neglect (SCAN) Program for 26 years. As a member, and one-time President of the International Society for the Protection of Child Abuse (IPSCAN) Dr. Mian provided consultation to the World Health Organization on developing guidelines for an integrated multisectoral approach to child maltreatment prevention worldwide. In Qatar, Dr. Mian was part of a group of professionals at Hamad Medical Corporation that established a hospital-based SCAN team. Dr. Sachs is an globally renowned academic physician and executive leader with extensive experience in senior management positions. Most recently he was the Senior Vice President and Dean of the School of Medicine at Tulane University where he led the school’s comeback from the devastation of Hurricane Katrina and helped build a new, city-wide, primary care network serving 200,000 people and oversaw multibillion dollar hospital replacement construction projects. Prior to this at Harvard Medical School and Beth Israel Deaconess Medical Center Dr. Sachs chaired the department of Ob/Gyn, helped build and led a 1500 member Harvard-affiliated physician organization (IPA) and led a major, award-winning patient safety and quality care initiative with the Department of Defense, that revolutionized the way medical errors could be prevented – “Teamtraining”. He also engaged in NIH funded, ground breaking research and led international development projects in the Philippines, Ukraine and in Armenia. He serves on the governing board of the AAMC. 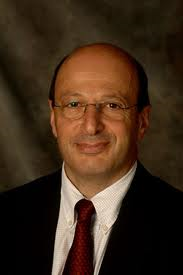 Dr. Sachs joined the SI team in 2014 and advises on a range of supportive programs to AMCs, community hospitals, health science campuses, medical schools as well as local, state and federal governments to improve the quality and efficiency of health programs while accommodating the challenges of the current environment.